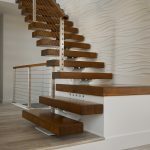 We can’t think of a better setting for our very first 90 degree floating staircase. 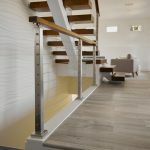 This beautiful home in Zeeland, Michigan underwent such a dramatic makeover, it looks like two completely different houses. 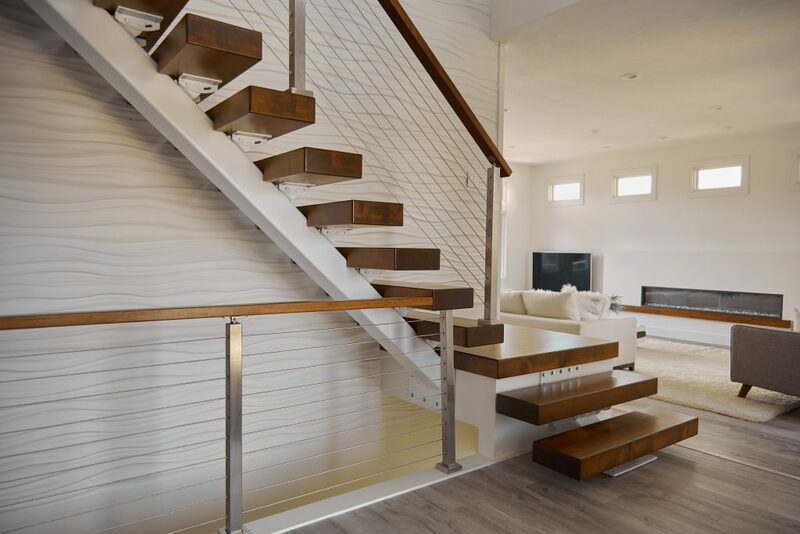 Thick blue walls were replaced with sleek cable railing, making the room look twice as big. 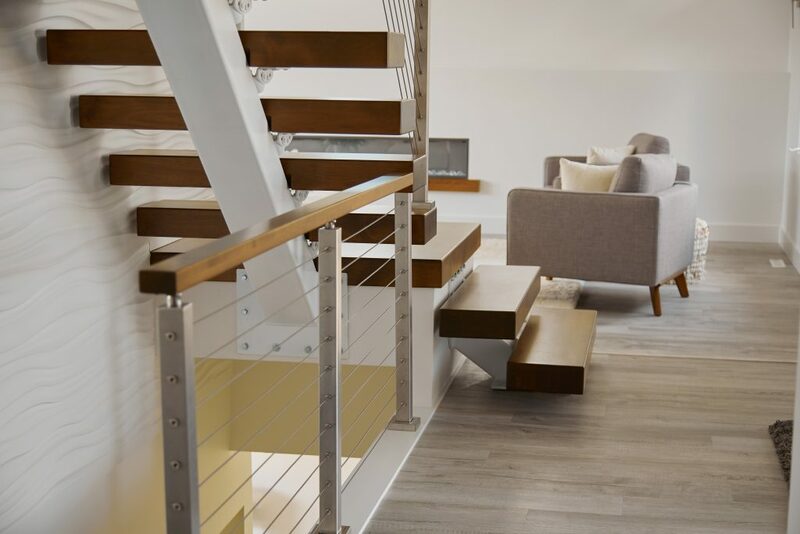 After removing the carpeted stairway, our engineers installed white powder-coated risers. 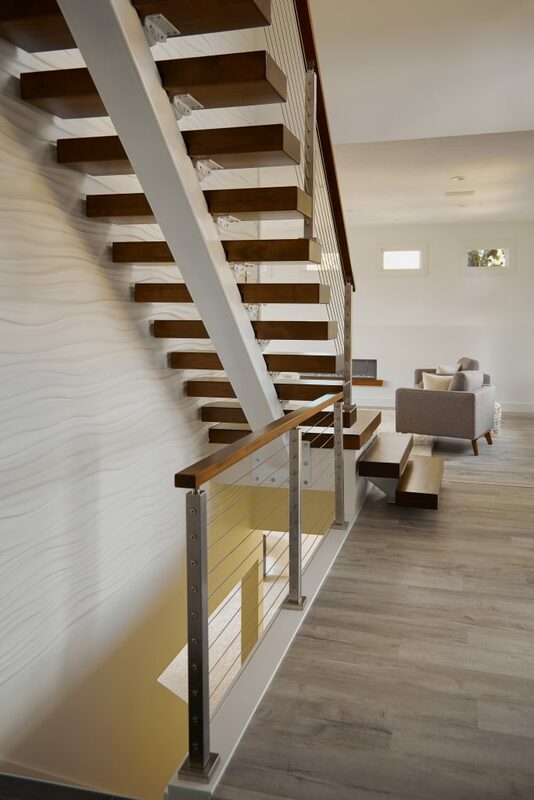 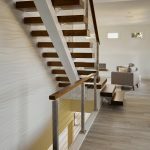 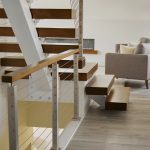 Luxurious wooden treads pop against the white backdrop, and the wooden handrail matches the treads for a cohesive look. 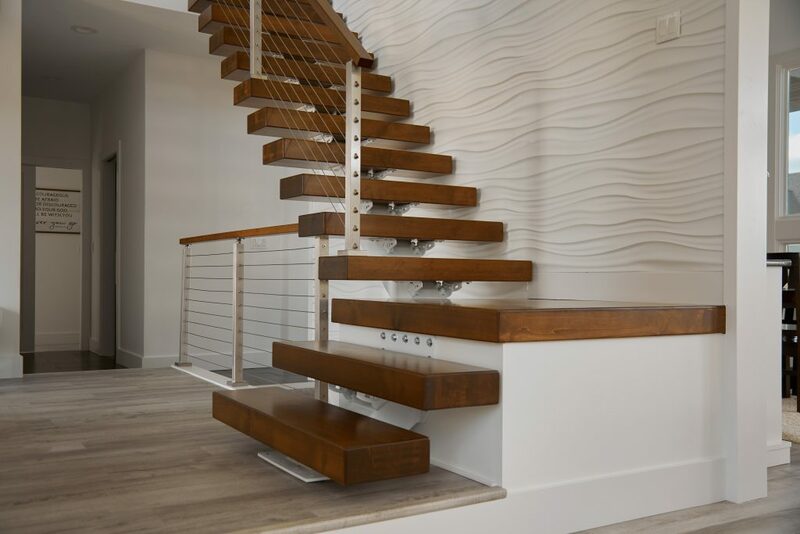 The innovative design of this configuration allows the staircase to turn at the very end, saving space and blending perfectly with the room. 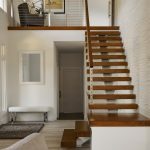 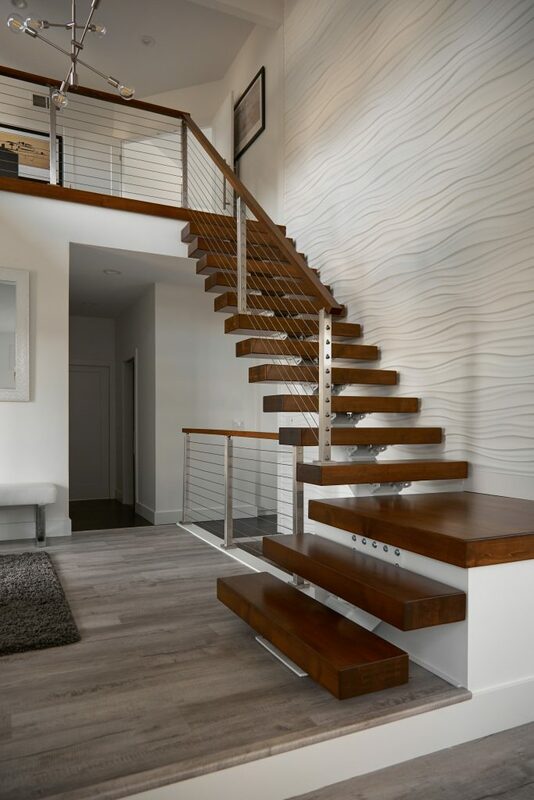 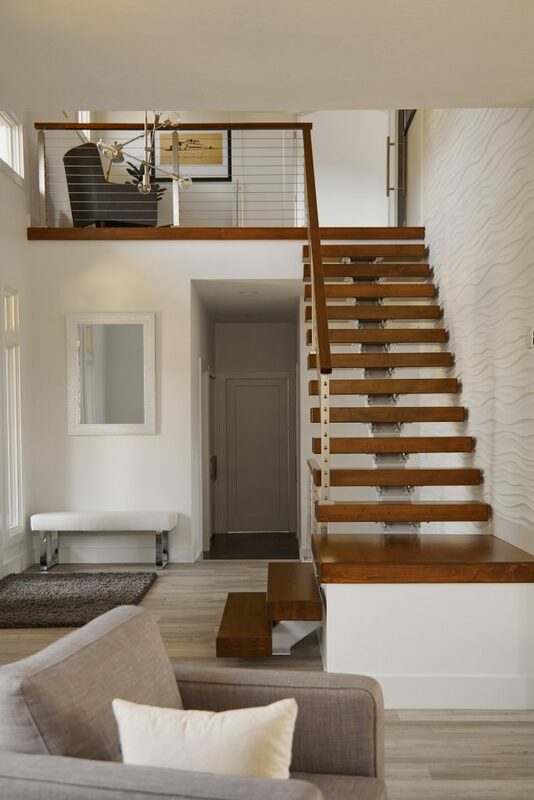 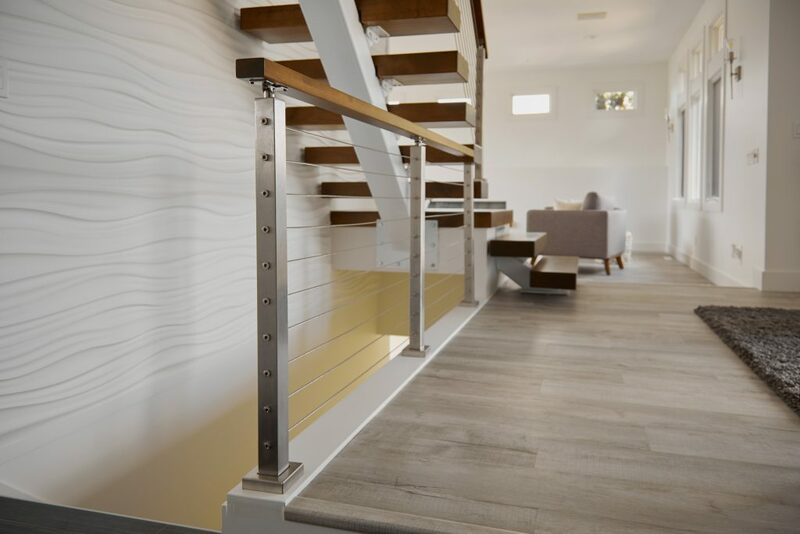 When it comes to modern design, nothing makes quite as chic a statement as a floating staircase.